I think these two comments may deserve consideration by leaders. Leaders are constantly striving for success in whatever arena they work in. Coaches want to win games, businessmen want to better the last quarter, clergy want to inspire their congregation, lawyers work to win their cases, and doctors want to save all their patients. Whatever venture we work and live in, we want our efforts to succeed. Vince Lombardi used to stress to his Green Bay Packer teams this maxim, “Pursue perfection and you might catch excellence.” When you caught excellence you won games, you attained success. This is what leaders do. They do hope for excellence and success and they should absolutely work to accomplish these goals. However, if success comes, we have to be careful that it doesn’t arrive with arrogance. It seems to me that whenever my teams had success and I felt I had it all figured out, that I was the general manager of the universe, the roof tended to fall in. One year in my high school coaching experience, we started the season at 10-1, losing only to the previous year’s Iowa state champion by one point. We were the smallest school in our area and we had defeated all the bigger schools. Due to our success and because I thought I was a pretty darn good coach, my arrogance led me to look at our next two opponents differently. They were not the quality teams we had just beaten and there was no question but that we had better talent than them. So, I told our players I was going to let up a bit in the week’s practices. On a Friday night we played at home and a team with lesser talent came into our gym, totally out-hustled us, and gave us a sound beating. We were all so surprised we lost, we didn’t compose ourselves for Saturday’s game and went on the road and lost again to a team that did not have our talent. This was a great lesson for a young coach. We had achieved success, we were the talk of the area, and I got to thinking we would win by just showing up. I failed to continue to push my players toward excellence, to do the things that got us off to a great start, and we paid for it. You cannot let success and your arrogance ever override work ethic. Just as we have to be aware of the pitfalls of success, we also must be aware of the downside of too much praise. The two do go hand-in-hand. With success comes praise. After learning my lesson to accept that neither I nor my teams were invincible, I came to this conclusion on praise and would share it with my athletes. 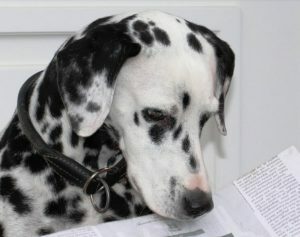 I would tell them they had to understand that when the newspapers wrote great things about them that two days later readers had the newspaper on their kitchen floor and dogs-in-training could very well be urinating on their name…and my name! Take it all with a grain of salt! Gordie Gillespie was the best coach I have ever met. I worked with him for twenty-five years and never once heard him talk about his coaching acumen.